Betsy's birth certificate says she was born on 9th January 1870, to Robert and Margaret Taylor (nee Leeming) at Woolfold, Tottington Lower End, Bury; her father was a stoker at a dye factory. In the 1871 census Betsy was aged 1 year old and lived with her father, Robert who was a labourer at an iron factory and her mother, Margaret, who was a cotton weaver. Both were aged 21 years; Robert was born in Tottington, Bury whilst Margaret was born in Blackburn. In 1881, Betsy's parents and her siblings, Samuel, Alice Ann and Robert, were all in Bury Workhouse. After a trip to Bury Archives I discovered that Robert and his children were admitted with small pox on 16th March whilst Betsy was admitted on 9th March 1881, also with small pox. Baby Richard Richardson died on 18th March and is buried in the Work House graveyard. There is more information about the recently built infectious hospital at the Work House on Robert Taylor's page. By 3/4th April, which is when the 1881 census was taken, Betsy had clearly become well enough to move in with her grandmother, Nancy Leman who was 66 years old, a licensed broker, living at 6 William Street, Bury. Despite only being 11 years old, Betsy was working as a domestic servant. Her grandmother, Nancy, was born in Preston, whilst her aunt, Mary A Gregson, was also born in Preston; she is 45 years old, Mary's sister-in-law, Mary A. Leman, aged 32, is also living there, they are both working as smallware hawkers; the latter's daughter, Nancy, who is 6 years old, is also living with them. This is clearly a mistake in the spelling of the name as the following census, 1891, Nancy Leeming, aged 76 years, is still living at the same address, 6 William Street. I have also found the marriage date of Mary Ann Leeming to George Gregson. 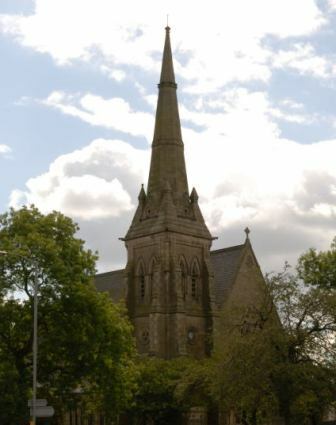 I have been unable to find a marriage for Betsy's parents under her mother's name of Margaret Leeming however, there is one for Margaret Leeman and Robert Taylor in Bury so I have sent off for it in the hope that it might shed some light. It seems likely that Betsy's mother, Margaret, dies in 1886 and her father remarries Elizabeth Haynes in 1890. This is probably why Betsy calls herself Betsy Leeming Taylor, as she is Betsy Taylor on her birth certificate but Betsy Leeming Taylor on her marriage certificate to Christopher foster. It might be that by the time Betsy is 21 years old she is a boarder at Gerratt Close Farm, Walmersley and Shuttleworth, and is a stitcher at a bleach works, at least that is one Betsy L. Taylor I have found in the 1891 census. 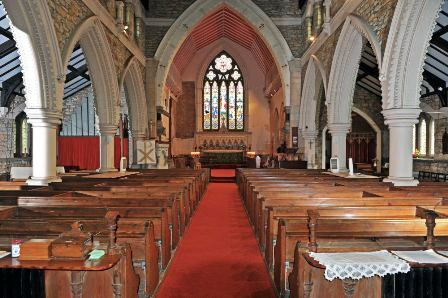 On 29th August 1893, Betsy marries Christopher Foster at St Thomas' church, Bury, which is a grade II listed building built in the 1860's. According to the marriage certificate they are both aged 21 years, which, of course, clashes with the Betsy I found in the 1891 census (it could be that 21 was put on the certificate merely to show that both were of the legal age to marry). Christopher is a bachelor and Betsy a spinster. 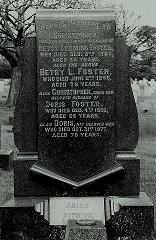 Christopher's father is Christopher Foster who is a labourer whilst Betsy's father is Robert Taylor who is a fireman. 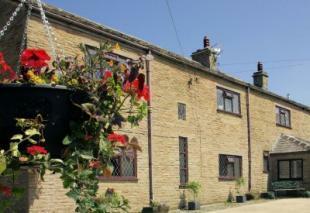 Christopher is living at 247 Bolton Road, Ramsbottom whilst Betsy is living at 11 Myrtle Street, Bury. Their witnesses are James Mawberley and Alice Ann Taylor. By 1901 Betsy (aged 31), Christopher (aged 28) and their children, Margaret 7, Christopher 5 and Henry 4 are all living at Further Meadows Farm, Rambsbottom. Here is the gravestone in Rawtenstall Cemetery which shows she died 8th June 1946 at the age of 76 years, she was living at 13 Greenfield Street but died at 84 Bank Street, Rawtenstall, which is probably where one of her children lived.